This will be a visual adventure as we travel along with calligrapher and teacher, Yukimi Annand, as she shares insights and examples of her focus on experimentation. Her visual communication design background has been a rich foundation for her current work. We will see starting points coming from American abstract expressionism, and the works of nature artists, along with nature photo images that Yukimi uses to inspire her own experimental calligraphy. Yukimi Annand is a calligrapher, a lettering artist and a book artist based in Southern California. She grew up in Japan and has a background in visual communication design. She is passionate about the beauty of the Roman alphabet and creates unique artwork with her love of calligraphic mark-making incorporated with nature. She has been experimenting with the usage of tools and mediums to expand her world of calligraphy. Her works have been exhibited in the US, Japan, Russia, and European countries, and have also been included in calligraphy collections in Berlin, San Francisco and Moscow. 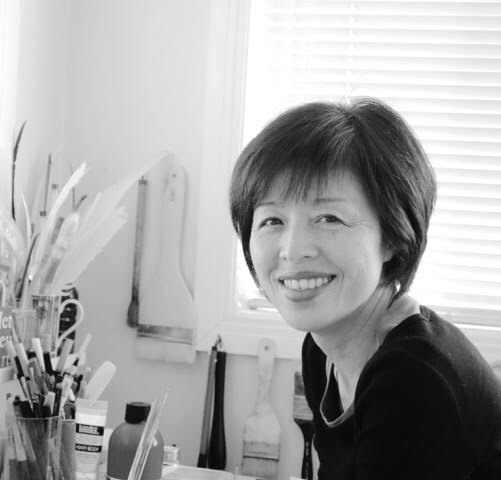 Yukimi is a frequent instructor at the annual international calligraphy conferences.